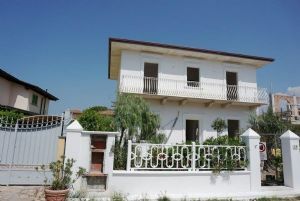 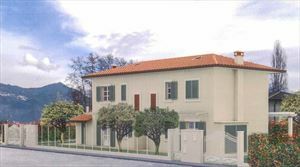 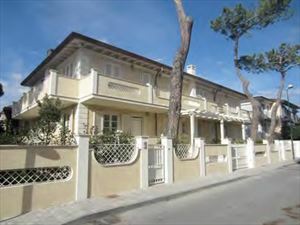 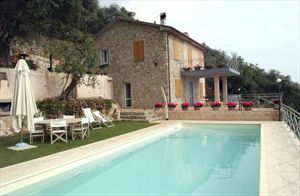 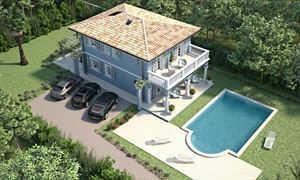 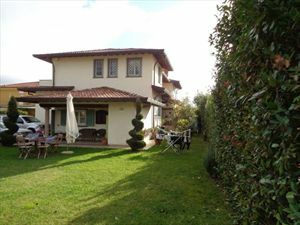 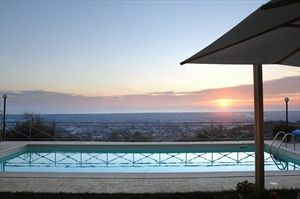 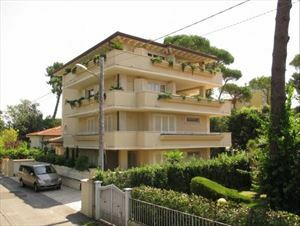 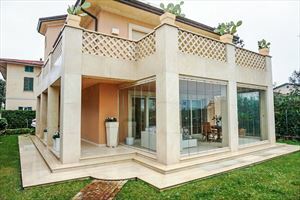 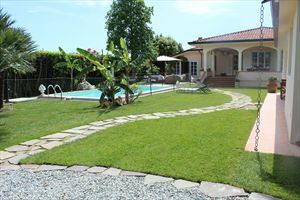 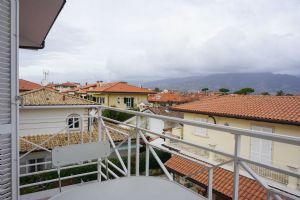 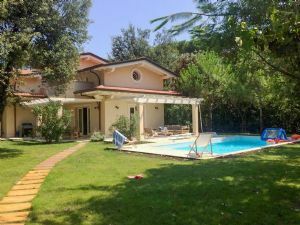 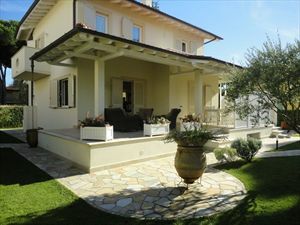 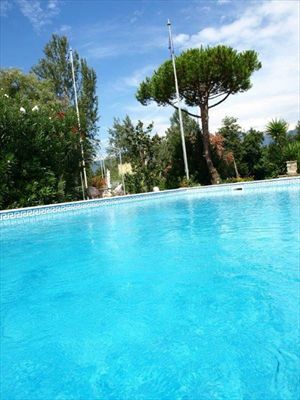 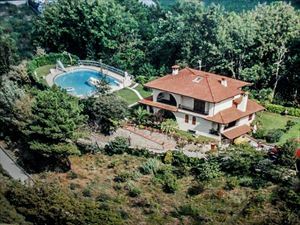 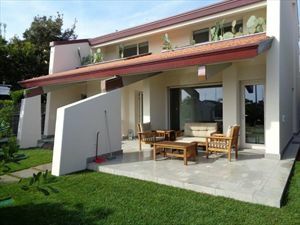 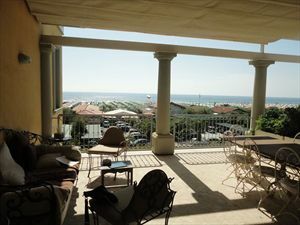 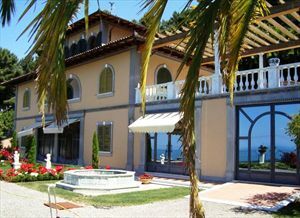 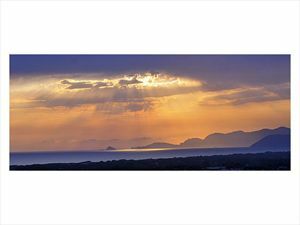 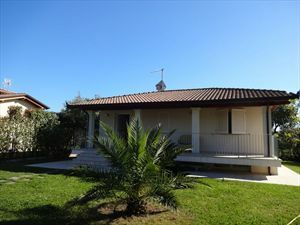 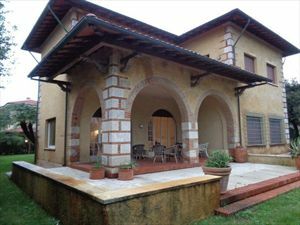 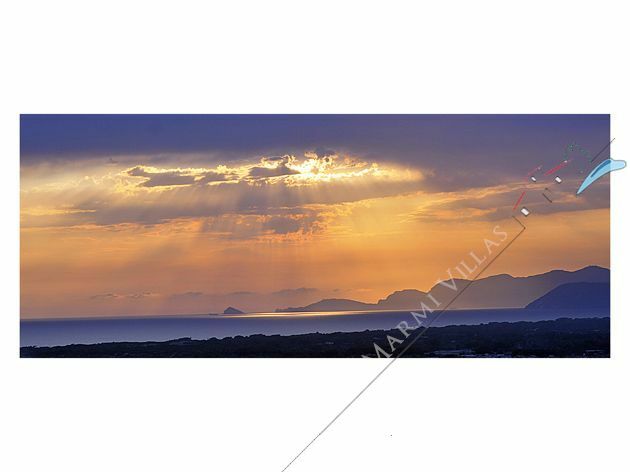 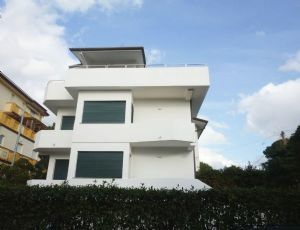 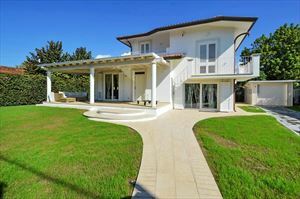 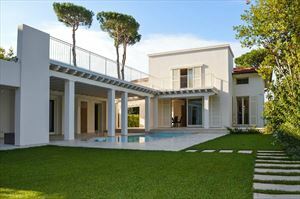 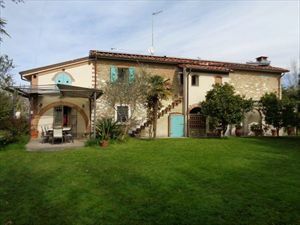 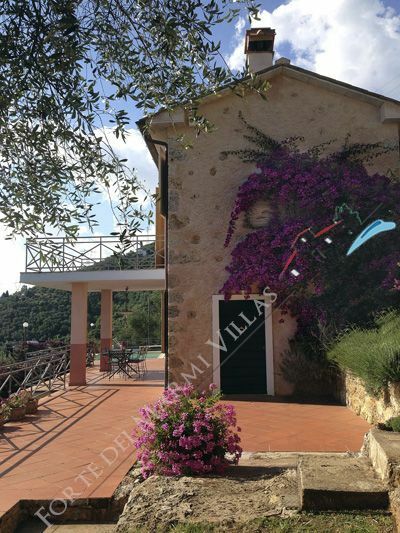 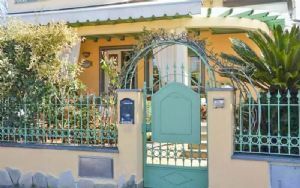 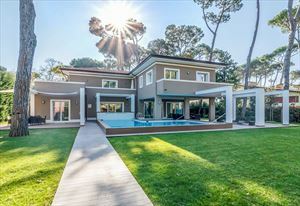 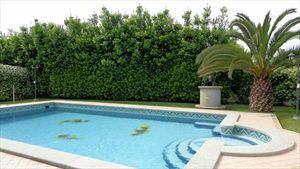 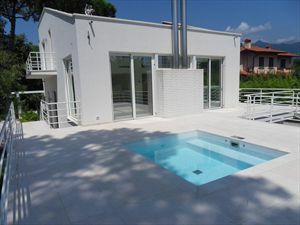 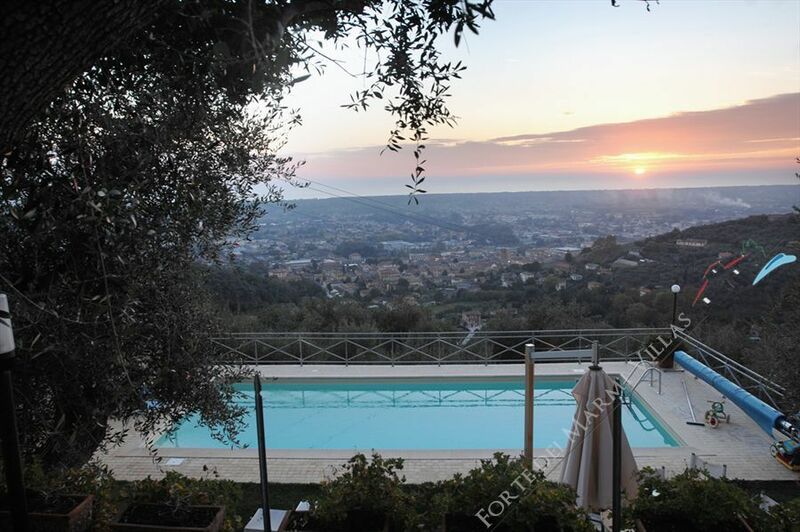 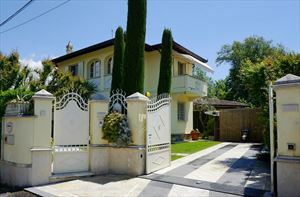 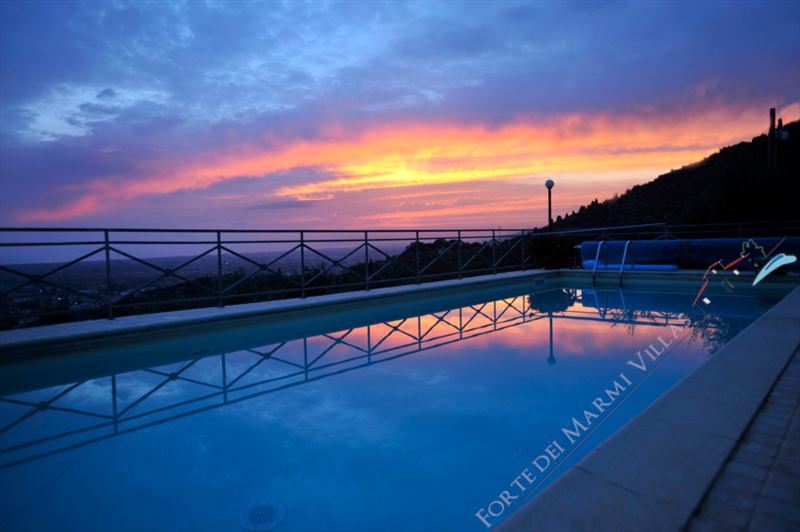 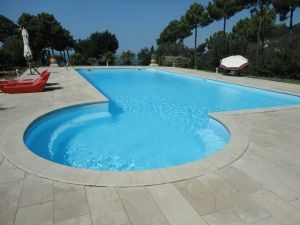 A detached villa with a guest house and a swimming pool (5x10 m., 1.6 m. of depth), with a breathtaking sea view. 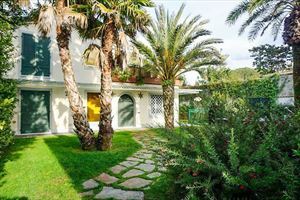 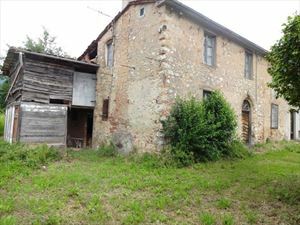 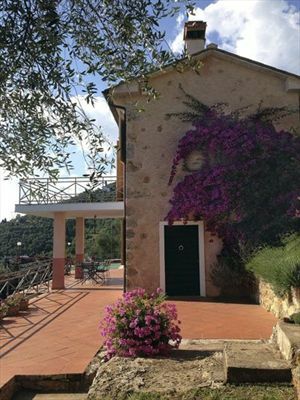 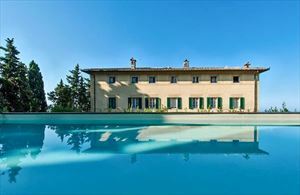 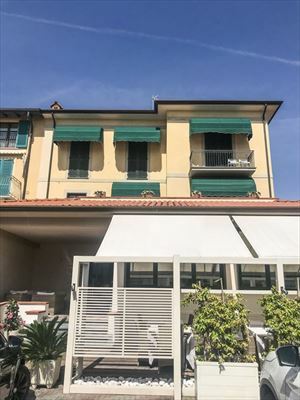 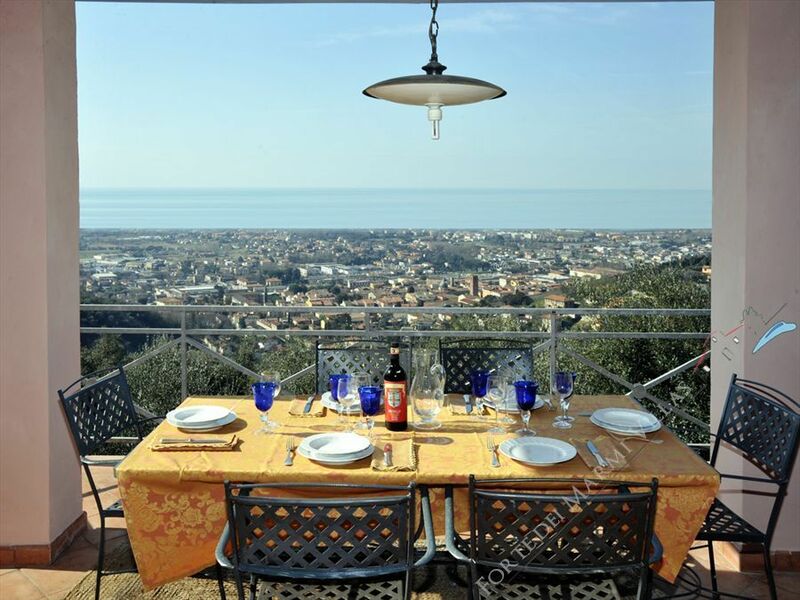 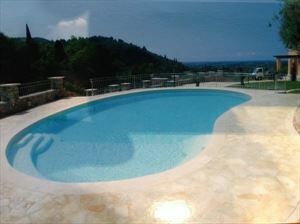 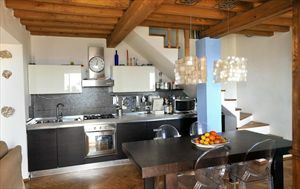 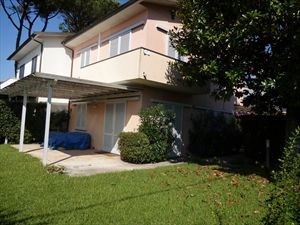 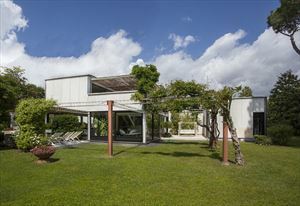 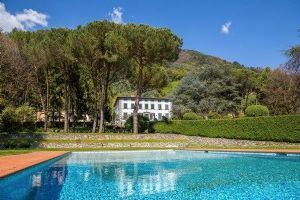 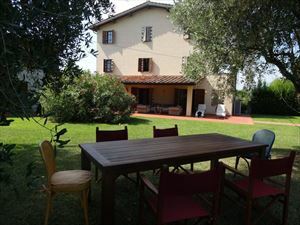 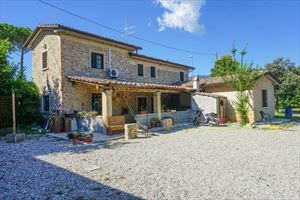 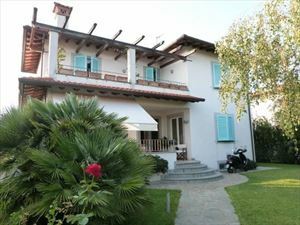 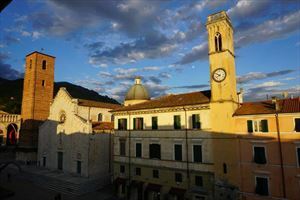 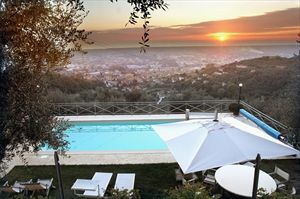 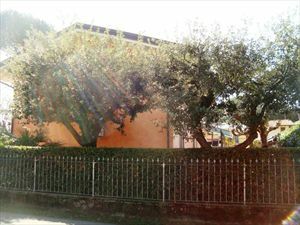 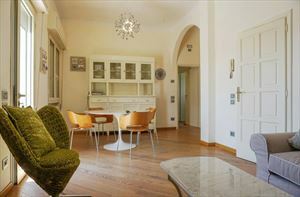 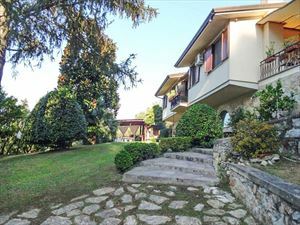 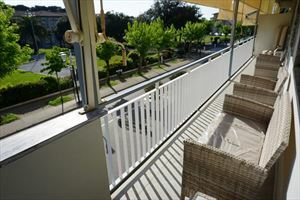 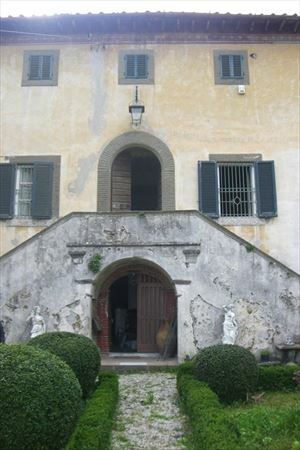 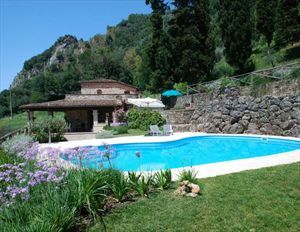 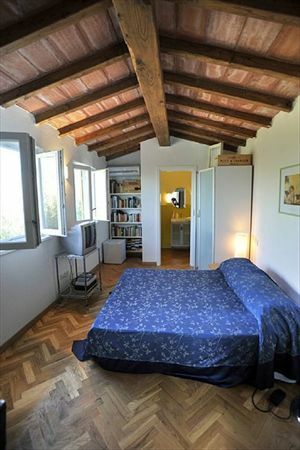 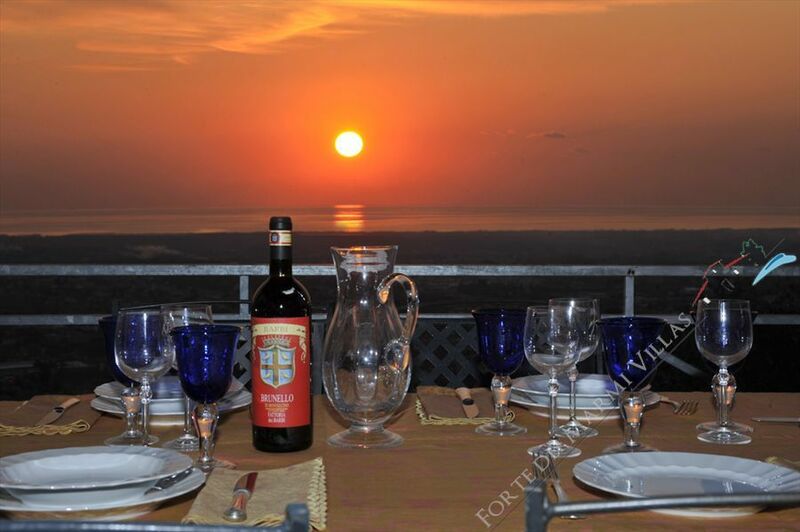 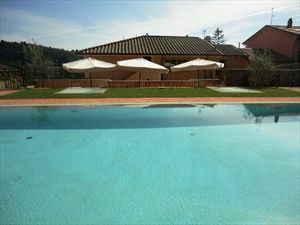 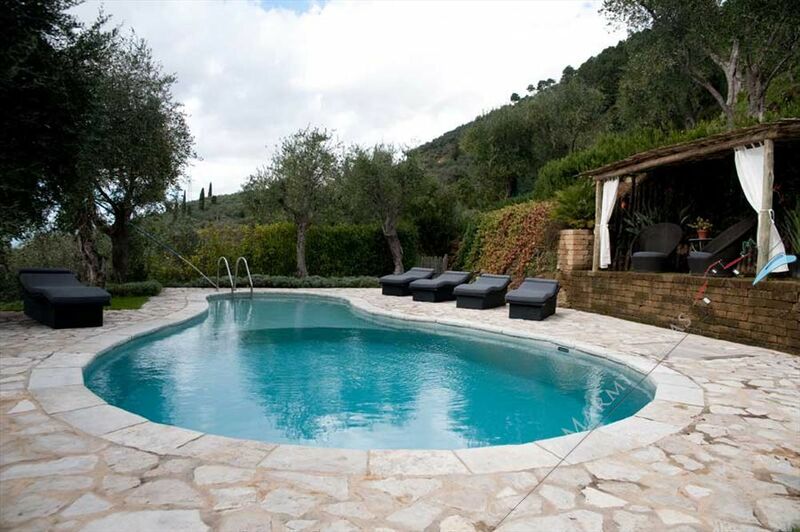 It is located on the hills of Pietrasanta, 6 km from the coast. 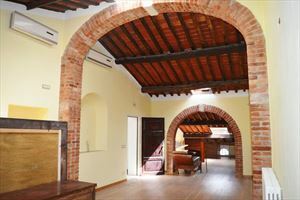 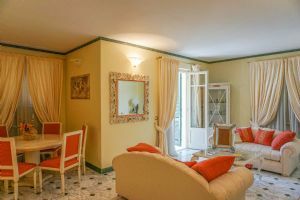 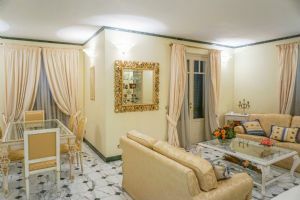 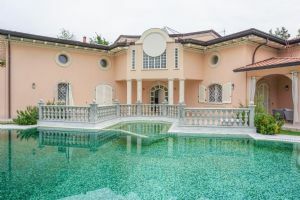 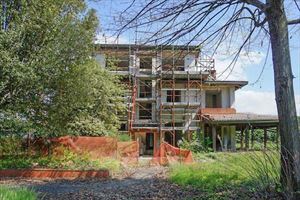 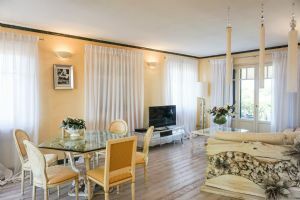 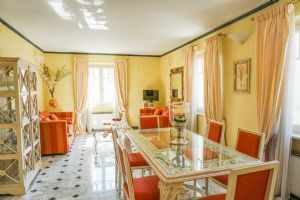 The ground floor of the main house consists of a covered terrace with dining table and outdoor furniture, a living room with dining table combined with a kitchen, a single bedroom, a bathroom with shower. 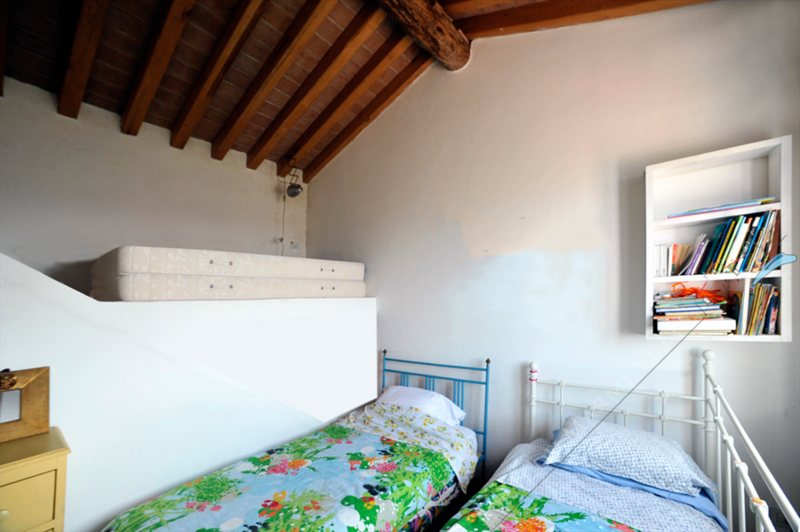 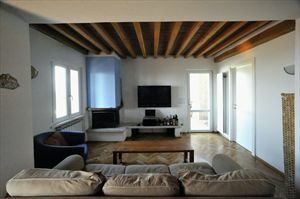 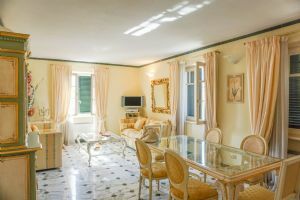 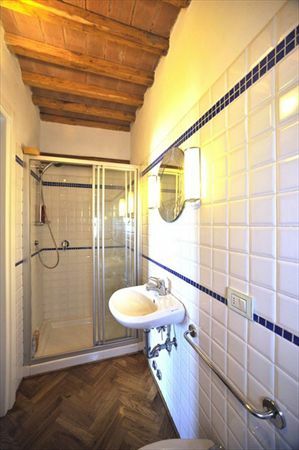 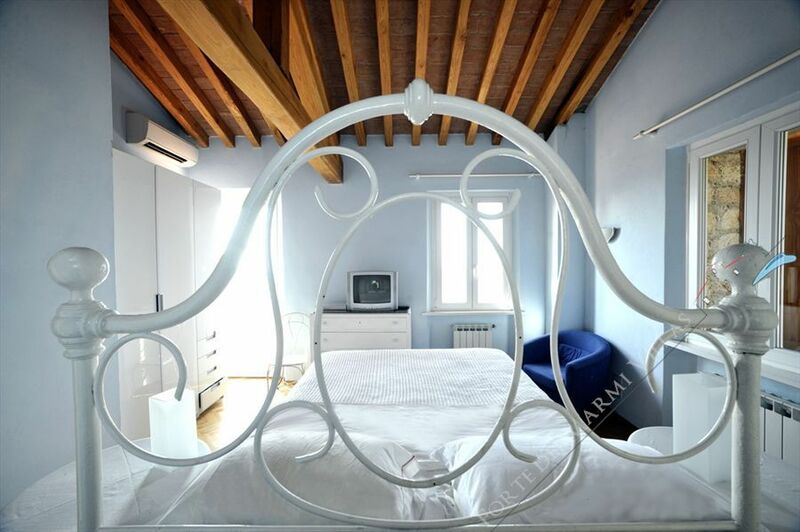 The upper floor comprises a double bedroom with a spacious terrace and bathroom with bath, a bedroom with twin beds. In the guest house, there is a double bedroom and a bathroom with shower. 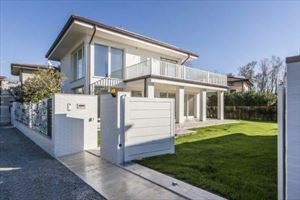 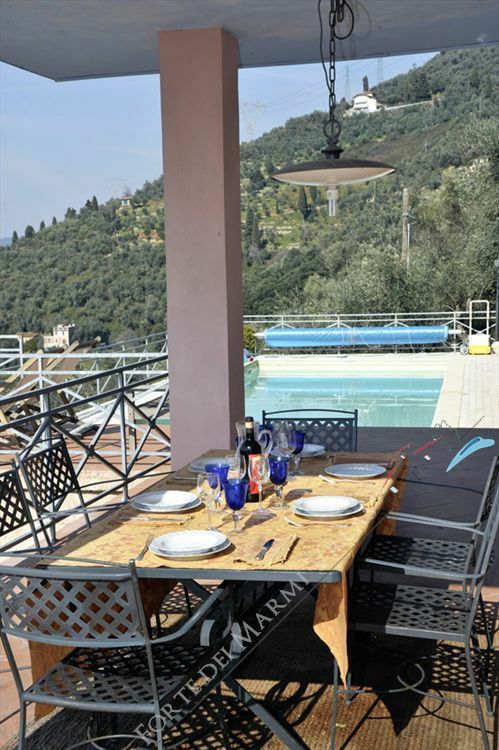 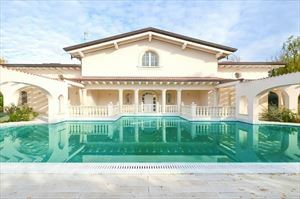 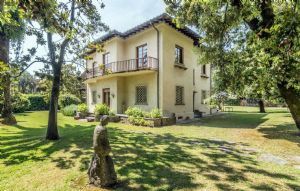 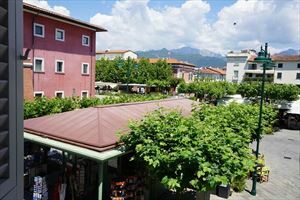 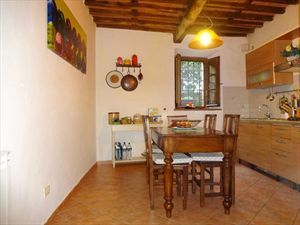 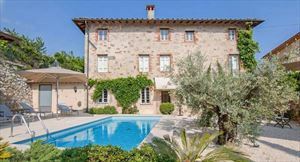 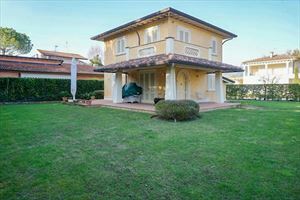 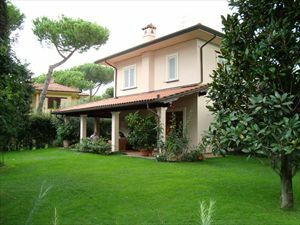 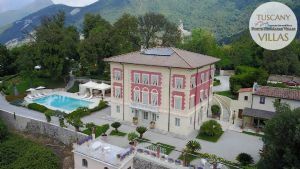 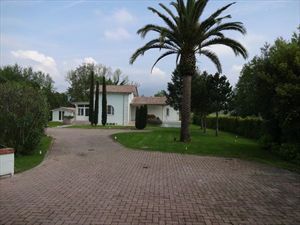 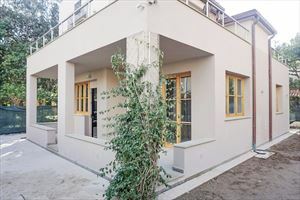 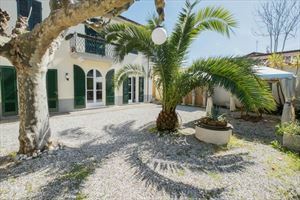 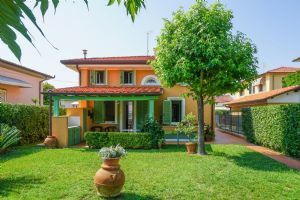 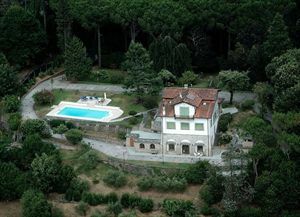 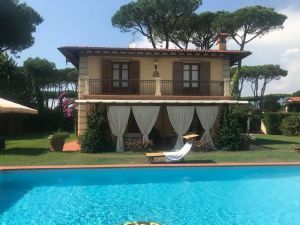 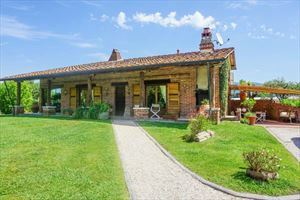 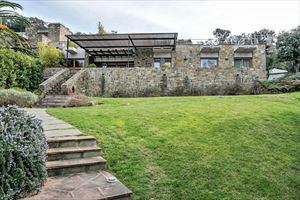 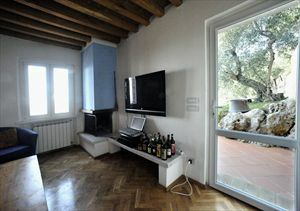 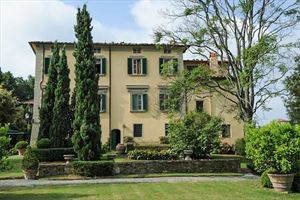 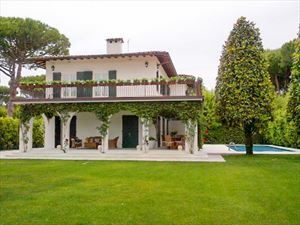 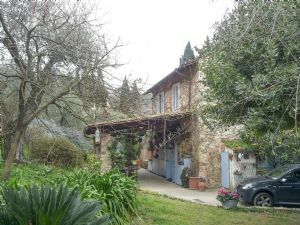 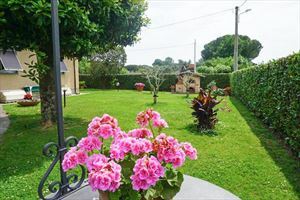 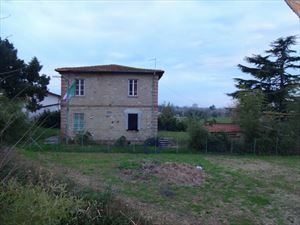 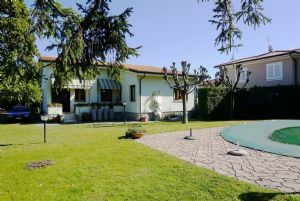 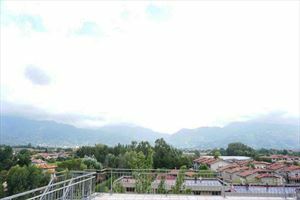 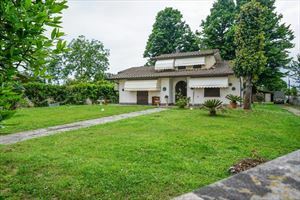 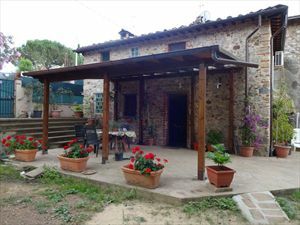 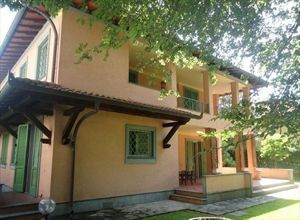 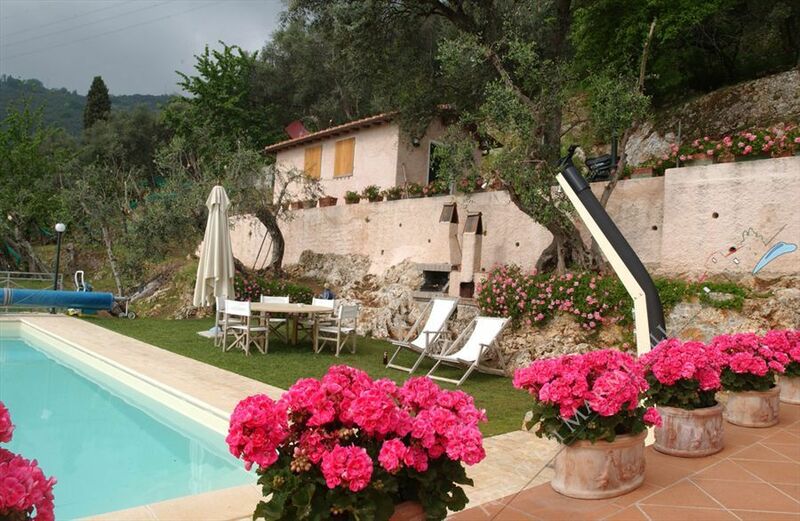 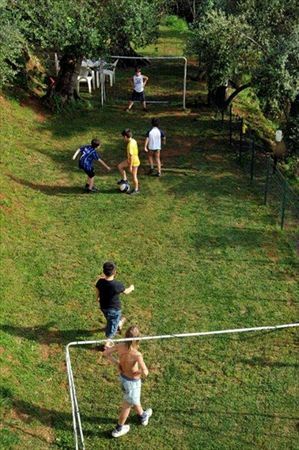 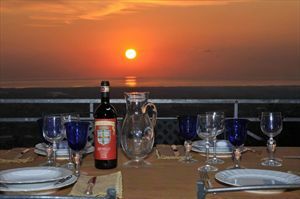 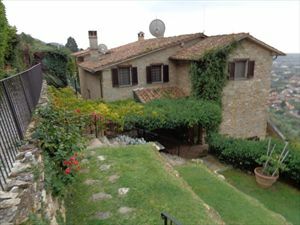 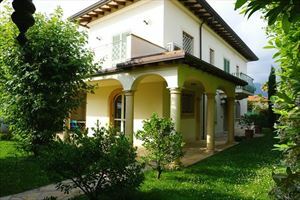 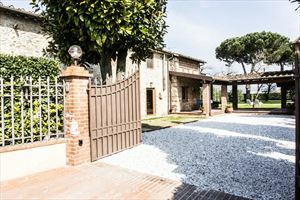 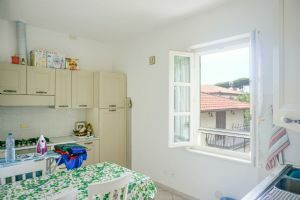 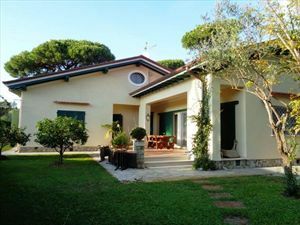 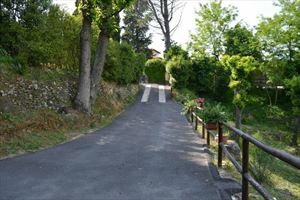 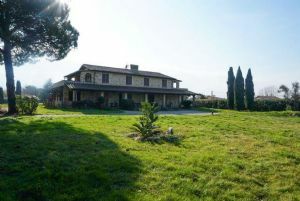 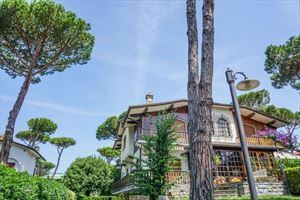 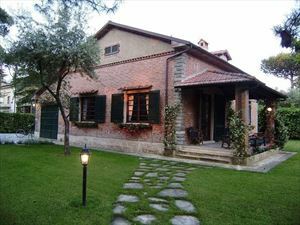 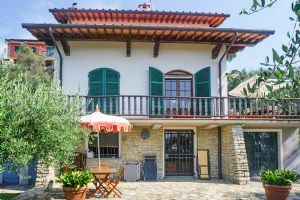 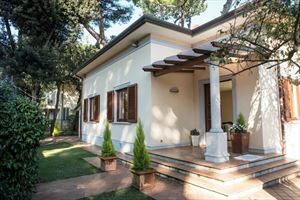 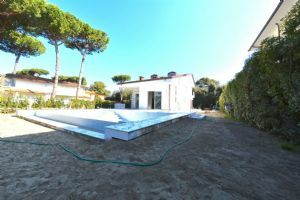 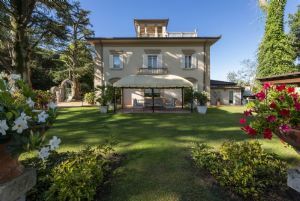 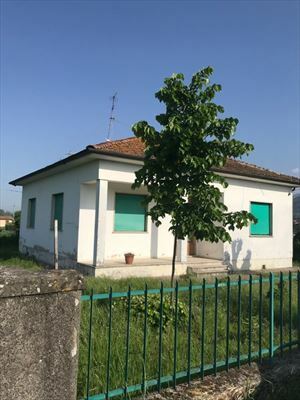 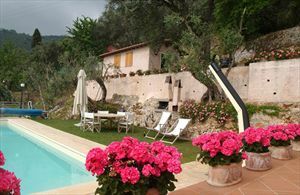 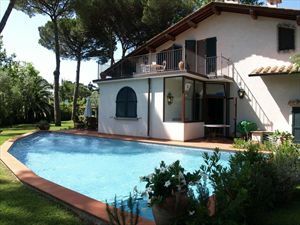 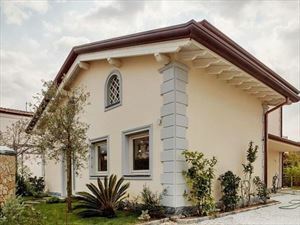 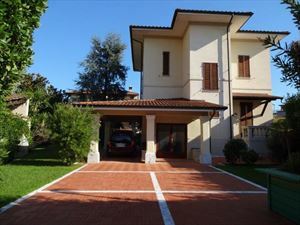 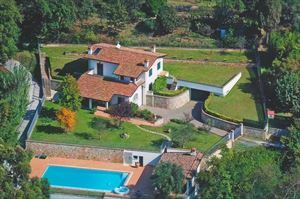 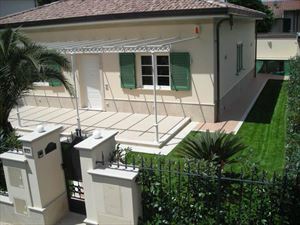 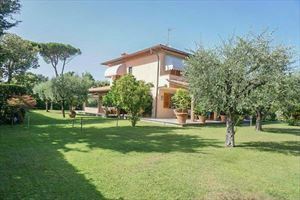 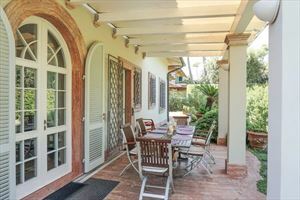 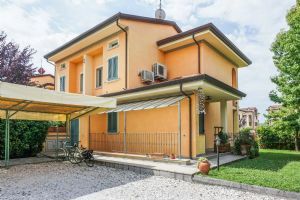 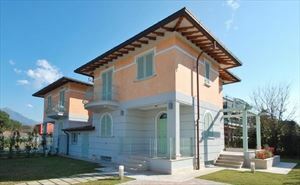 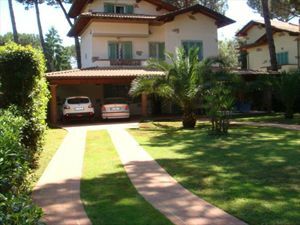 The villa has a parking, a small football play-field, barbecue and pizza oven. 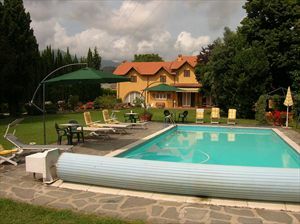 The recreation area near the pool is equipped with an umbrella, sun loungers, an outdoor shower. 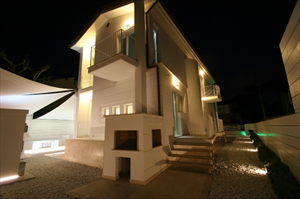 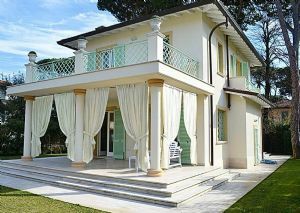 The villa is equipped with air conditioning, satellite TV, Wi-Fi, automatic gate.